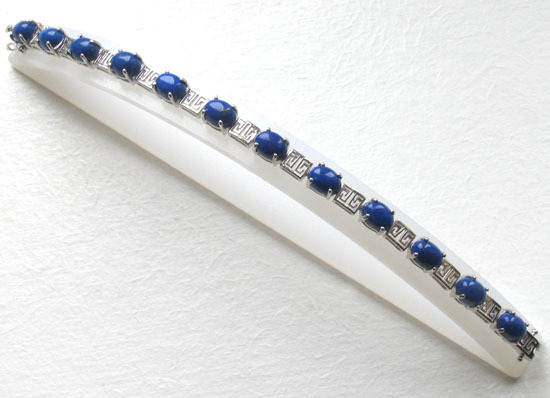 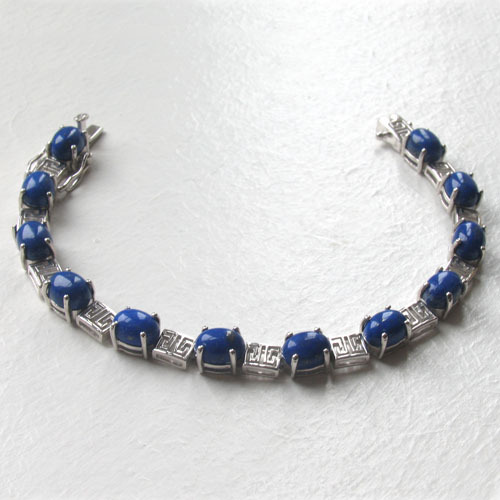 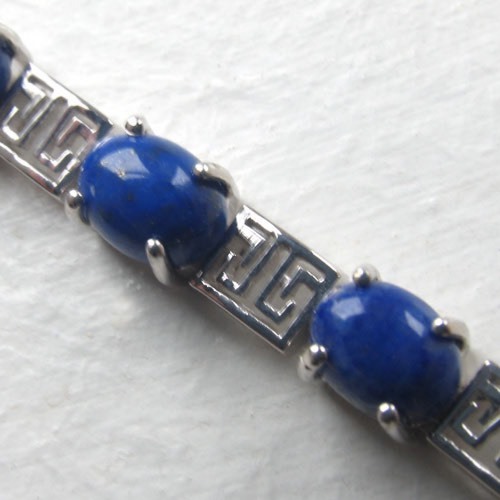 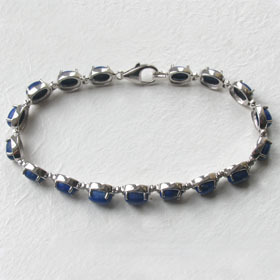 This fantastic lapis lazuli bracelet features superb lapis gemstones interspersed with sterling silver spacers in a Moorish design. 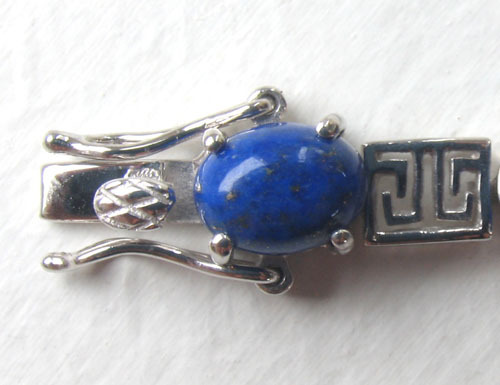 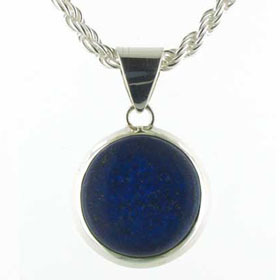 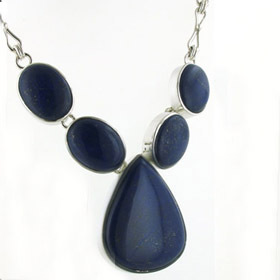 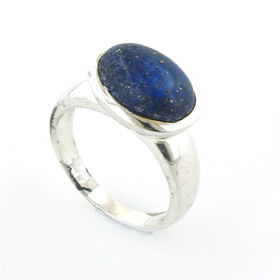 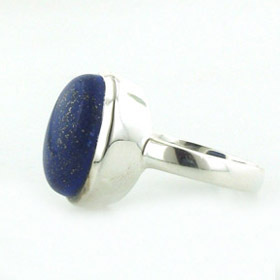 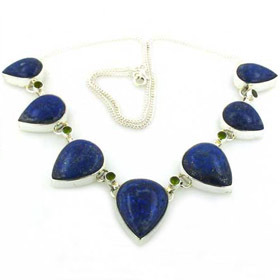 The lapis lazuli stones are top quality and have lively royal blue colour. 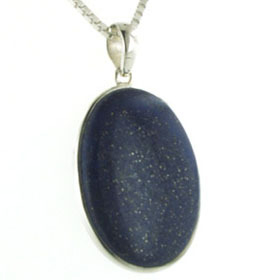 The characteristic sprinkling of gold pyrite is present on some of the stones. 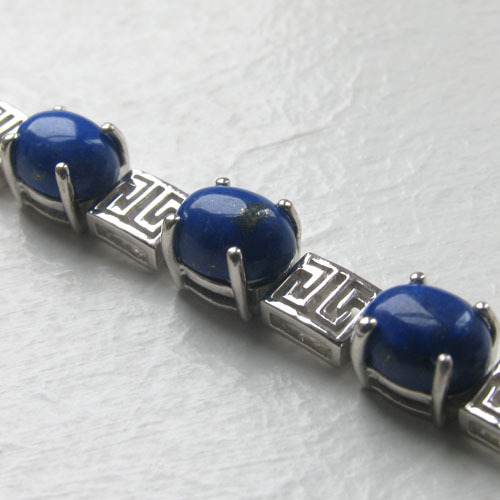 The bracelet is hinged between each stone and spacer and so moves very easily and loosely around your wrist. The bracelet closes with a safety catch.